Thread. 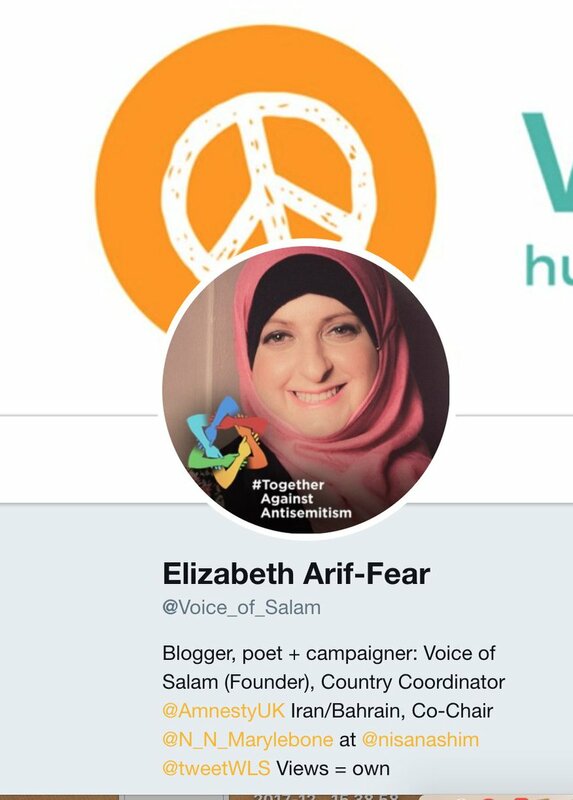 1/ Who is Elizabeth Arif-Fear? To know, I counted her Tweets over 24 hours. On the holocaust tweets = 5 / retweets = 12. On antisemitism tweets = 10 / retweets = 2. 3/ Elizabeth was happy to accept the opinion of a well know toxic anonymous troll & set about getting Asghar's account suspended.